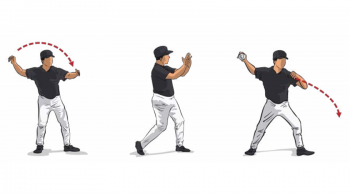 During today’s blog post, I’m going to share with you a bunch of baseball pitching drills that are sure to get some fire into your pitcher’s throw. This drill is for working on the transfer step and pivot. It is very important that we do establish this proper technique now. 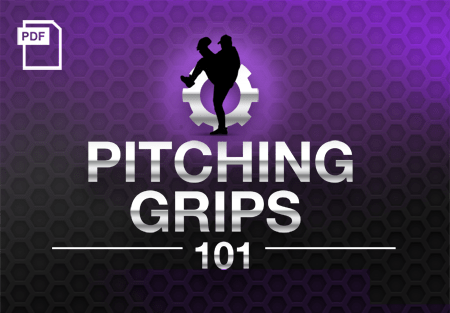 Have your pitcher start out with his shoulders square to the target, back of the glove. What we want him to do is take a small transfer step back. 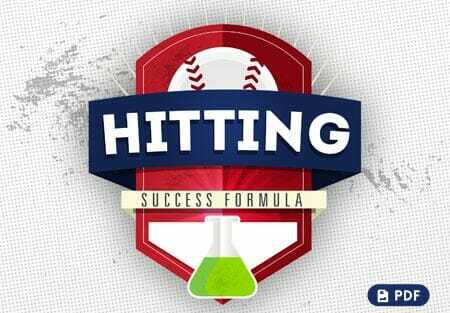 This is the first step in generating his weight and body parts to go towards home to deliver the pitch with the most effort he can. Now he should pick the foot up and put it in the hole. If he doesn’t put his foot in the hole, he can be pitching from the top of the rubber or halfway down. We want to pick it up, put in the hole so when your pitcher drives, he can go with it. 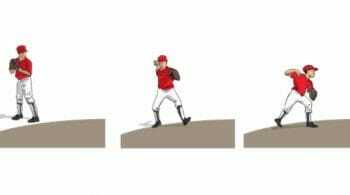 When your pitcher takes his normal transfer step, he should have his head above his waist. He should be pretty much balanced out. 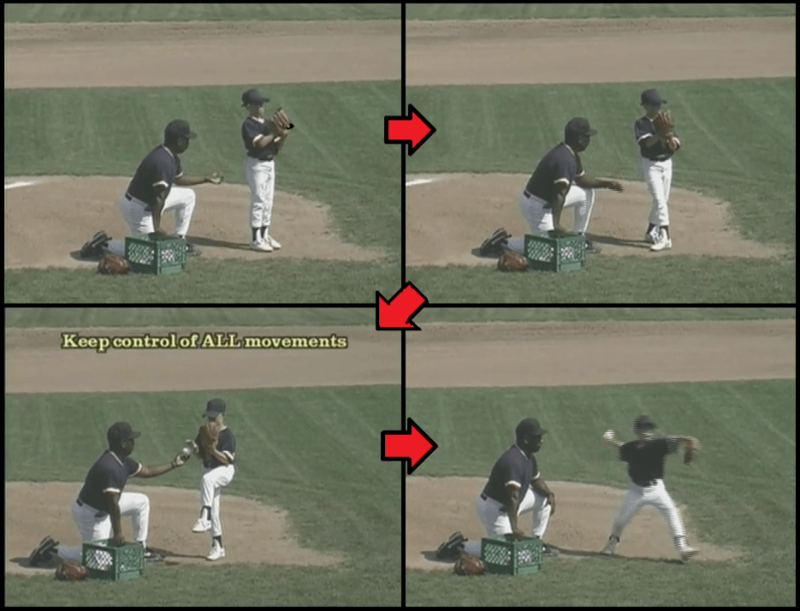 What we don’t want to see is the pitcher taking a step way back, which will make him get out of control. To get so far back, he’d have to stop his body, and we don’t want that. What we want to do is generate a little bit of rhythm. 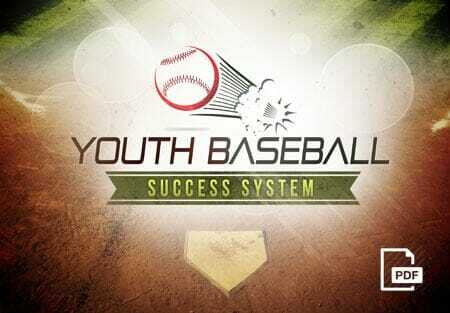 Your pitcher starts his transfer step and then he pivots, picks it up, puts it in the hole. When he pivots, he should pick the foot up, put it in the hole, and have the foot in place, and then from there we’ll go to our balance point in our gathered position. 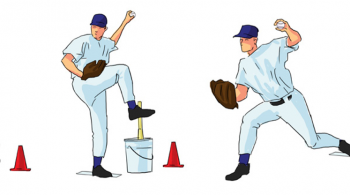 Every pitcher has to have good balance. 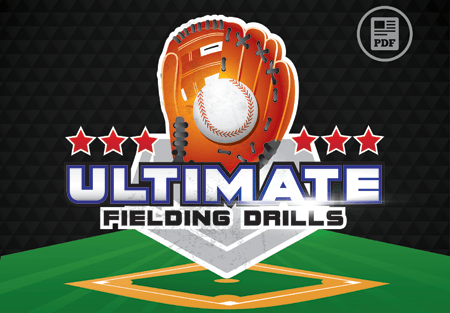 For this baseball pitching drill, your player should start out in a ready position, back of the glove to the catcher and the batter. He should do his transfer step, pick the foot up, pivot. Now he’s going to do a leg lift. They used to call it a leg kick, but it’s a leg lift. 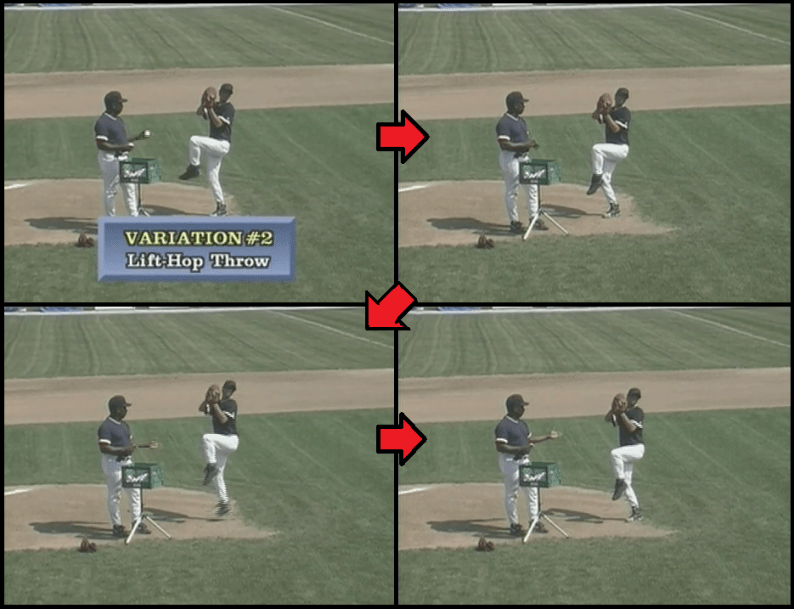 When he lifts the leg, he should focus on keeping it tight and not swinging it out. 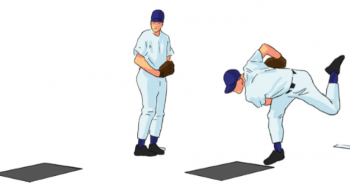 Now the pitcher should hold this stance and maintain his balance. What I like for him to do is focus the balance on the inside of the right knee or right over the right part of the inside foot. Then I will give him the ball and then he’ll finish. You’ve got to have good balance, and that’s what we’re working on here. Your pitcher has to be in control. If he doesn’t have good balance, he’s what we refer to as “rushing.” If he rushes, his body goes off and leaves his arm, causing a poor pitch. What you want to look for during this drill is to make sure the pitcher is standing erect. What we don’t want to see is him arching back. He should have good posture. He should be able to get the leg up at least waist high, foot under the knee, relaxed. This is something you can do during commercials or if you’re bored. This is another form of the balance drill. With this variation, we’ll add a lift, hop, and throw to it. A lot of players become bored when they simply work on mastering the one balance position, so we try to challenge them. What a lot of guys will do – if you stand from the side it’s the best place to check this – as he starts to go home, he may start to lean or rush, and he may use his front shoulder. What we want to do is make sure he’s using the lower half of his body. By simply putting your hand on his hip, you can help him to isolate this and only use the lower half of his body. Have him put his leg up and say go. You’ll be able to feel him using his lower half. What you don’t want to see is him getting out here and using his front shoulder. 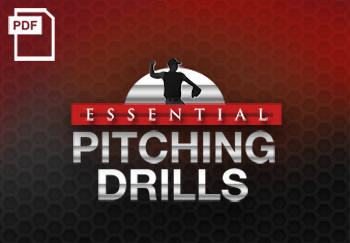 Do you think your pitcher will get something out of these baseball pitching drills? If so, be sure to head over to my Twitter page and follow me–I share tons of great tips and pointers!